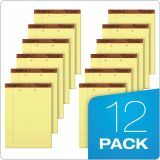 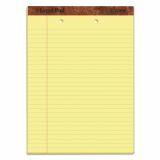 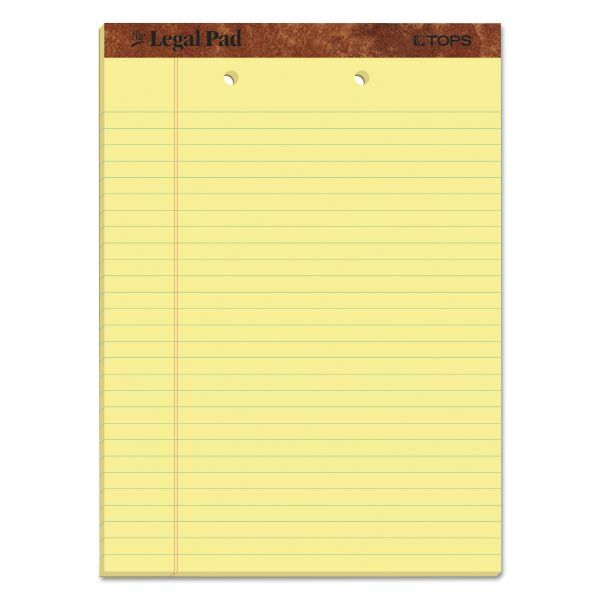 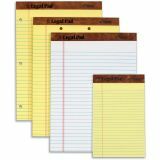 TOPS "The Legal Pad" Ruled Pads, Legal/Wide, 8 1/2 x 11 3/4, Canary, 50 Sheets, Dozen - Quality writing pads feature double-stitched, leatherette binding at the top and a sturdy, 30 point chipboard backer for writing when away from your desk. 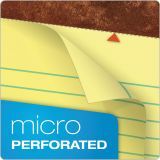 Letr-Trim perforation at the top allows clean and easy sheet removal. 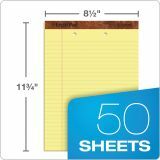 Each letter-size pad contains 50 sheets of 16 lb. 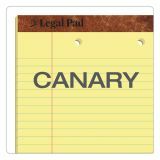 canary paper. 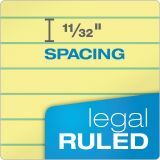 Each heavyweight sheet is legal/wide-ruled with 11/32 line spacings and a 1-1/4" left margin. 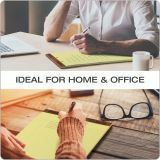 Two holes punched at the top make the writing pad ideal for hanging or special binders.